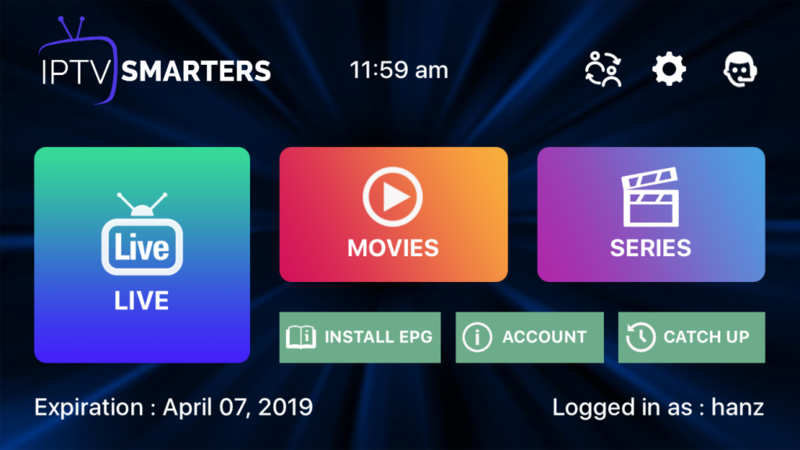 Using the Smarters App could not be easier and in our opinion closely behind the Mag set top box is the best way to view UKTV on your smart phone, tablet or smart TV. Through the Smarters App you can watch exactly the same services that you can via the Mag box. You can watch Live TV, VOD - video on demand, TV Series, Box Sets and also we have provided our world class Catch-Up service on the Smarters App for your pleasure. You now have 4 sections that you need to input, 'anyname', 'username', 'password', 'url for server'. "Any Name" - like it says actually, type in any name, you can put your name if you please but it doesn't matter what you put. Now that you have entered all the above details you can click on "Add User". Now that you have easily and successfully set up the UKTV Smarters App you need to know how it works. If you look at the screen now you will see that you probably don't even need this Smarters App tutorial. You will now see the main menu for the Smarters App, on this menu you have varied boxes for you to navigate through. 'Live TV','Movies', 'Series', Catch Up'. You can now see all the different channel groups that you can choose from. We have laid them out like this to make it faster and easier for you to located the IPTV channels that you want to watch. On this easy to use home screen you will notice a tab that says 'ALL' this is the total amount of channels we are showing from all over the world. Click on 'News' by tapping once on the 'News' section of the screen. It will automatically have loaded up the first channel. If you want to switch channel simply press the channel icon once. You can also scroll up and down the screen for more channels. Should you want to make this channel a 'Favourite' channel meaning that you can add your favourite channels to one box on the main 'Live TV' screen. To add a channel to favourite simply keep your finger on the channel icon for 2 seconds and you will notice a gold star. The same to take a channel off your favourite list. To make the channel bigger on your screen just click the TV screen currently playing your channel once. You can tap once again to get rid of the controls around the screen for full display. To go back to menu tap the screen once, click on done. If you want to go back to main 'Live TV' menu now click on the left arrow top left of the screen. If you want to switch between categories from the 'News' section click right or left arrows next to the 'News' tab. 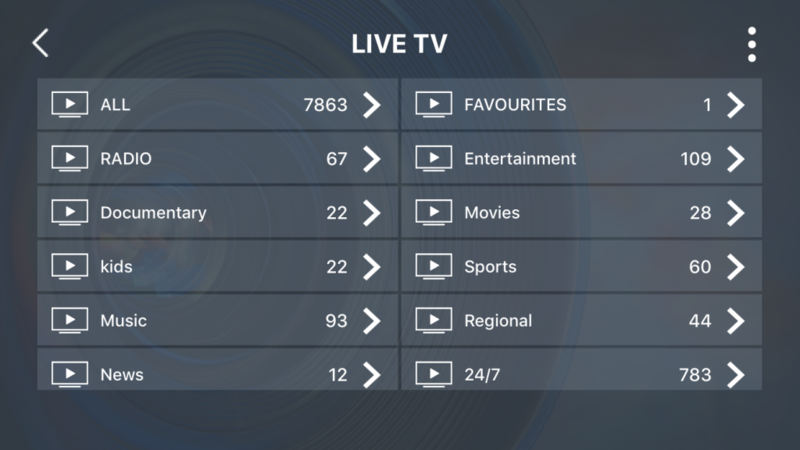 Should you have chosen some favourite channels then back on the 'Live TV' home screen you will a tab for 'Favourites', click this and you will see all your favourite channels for easy access. 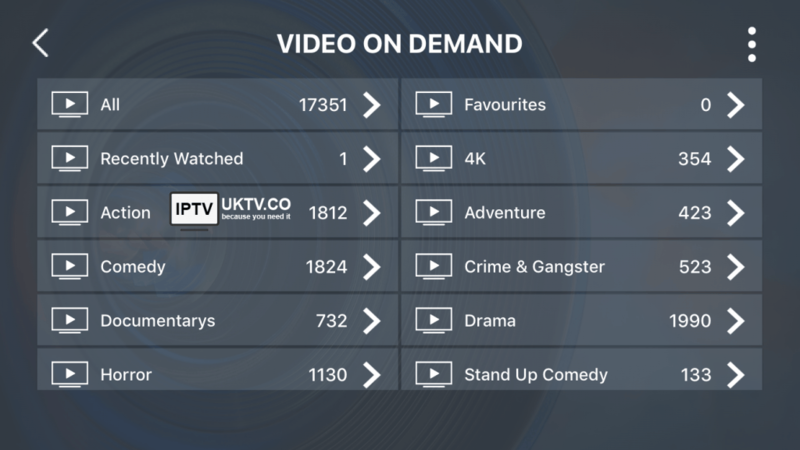 Getting back to the main home page of your UKTV IPTV Smarters APP could not be any easier. From the 'Live TV' or any category menu click on the top left hand left arrow. 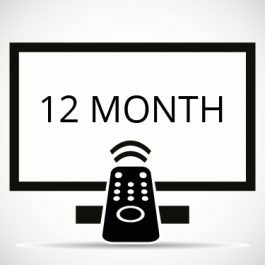 VOD - Video on Demand. 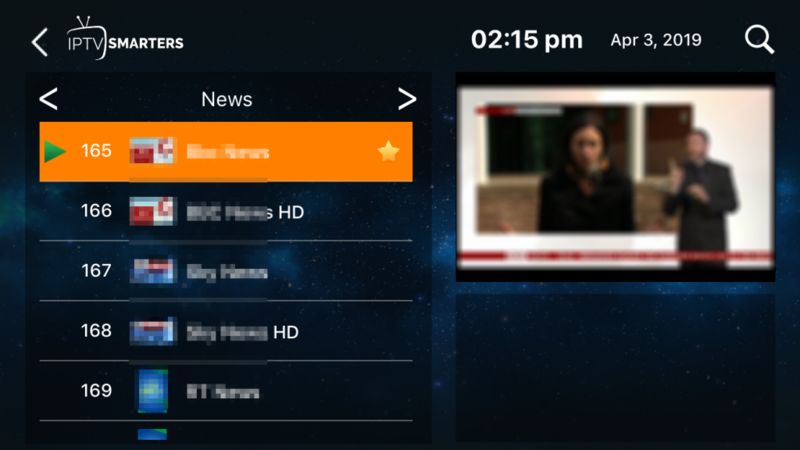 Click the 'Movies' box on the main screen and you will notice a similar look, the menu appears to be the same as the 'Live TV' one, here in 'Movies' you can see that we have sectioned them all off into catagories again to make it easier to find a movie. 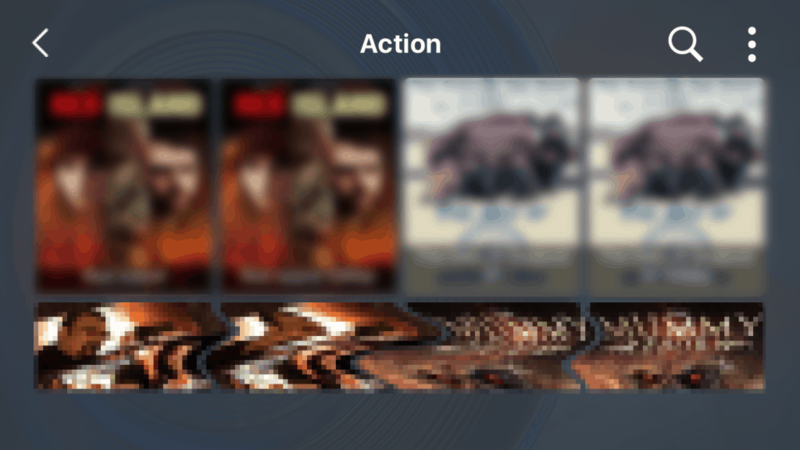 Select 'Action' as an example and you will see what movies are available that have the genre 'Action'. 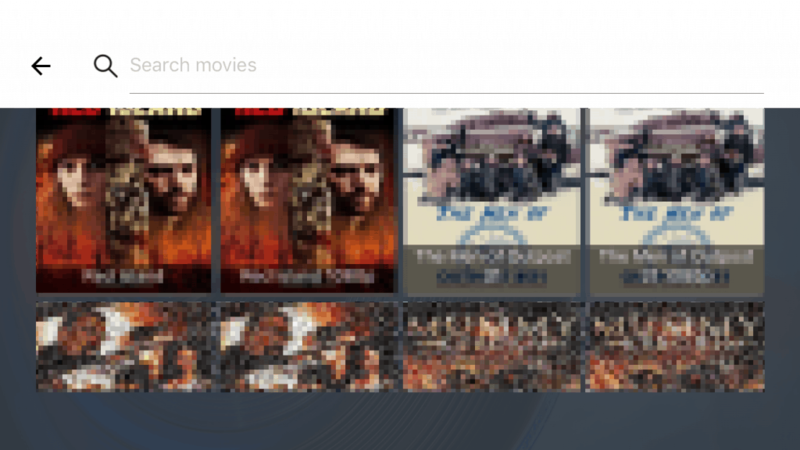 You can search for a movie by clicking the top right magnifying glass, you will notice that as you are typing the movies below are disappearing so that you can see the live search. Again you can add any of these movies to your 'Favourites' tab for viewing at a later date. The 'Series' tabs is exactly the same function as above. To use the 'Catch-Up' service you need to be at the main menu again. 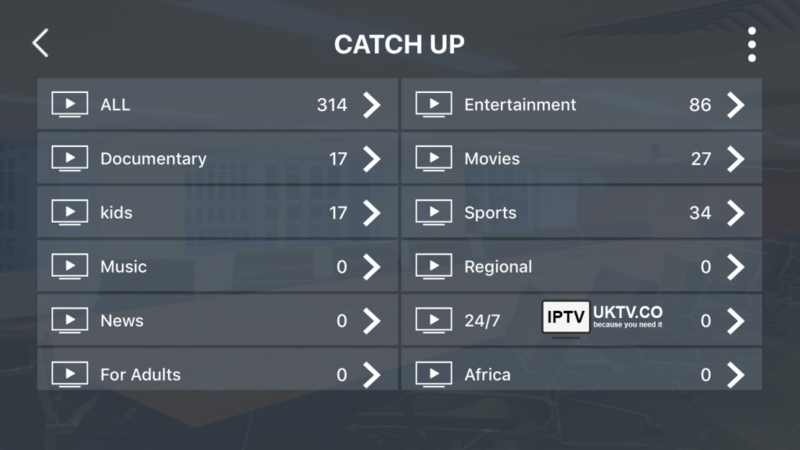 Click on 'Catch Up' icon and you will see the channels that have the catch up service. 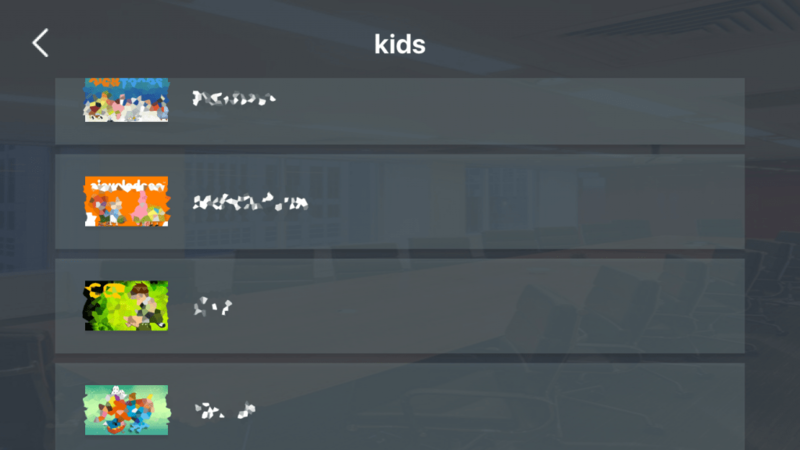 As an example click on the 'Kids' tab, click on any channel tab and you will now see the catch up menu. 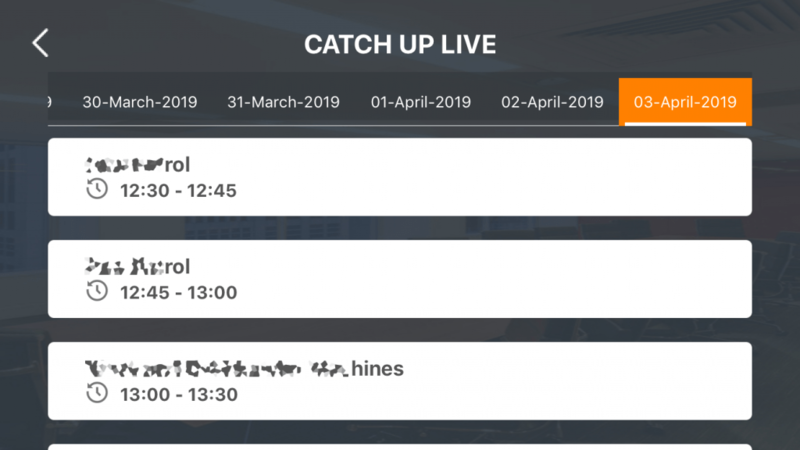 Scroll up and down to select an earlier show or at the top of the screen you will see the dates, scroll left or right to select a date then the programme you want to go back to. Click on the title and it will now play in your device.